Rory Scovel most recently wrapped on I FEEL PRETTY opposite Amy Schumer. He can be seen in the New Line feature THE HOUSE, alongside Will Ferrell and Amy Poehler, as well as THE LEGACY OF A WHITETAIL DEER HUNTER for director Jody Hill alongside Danny McBride and Josh Brolin. Some of his television credits include the TBS series GROUND FLOOR the NBC series UNDATEABLE, ABC’s MODERN FAMILY, F/X’s THE COMEDIANS and the original series THOSE WHO CANT for TruTV. In 2016, Rory starred alongside Demetri Martin in Demetri’s directorial debut DEAN which premiered at the Tribeca Film Festival. 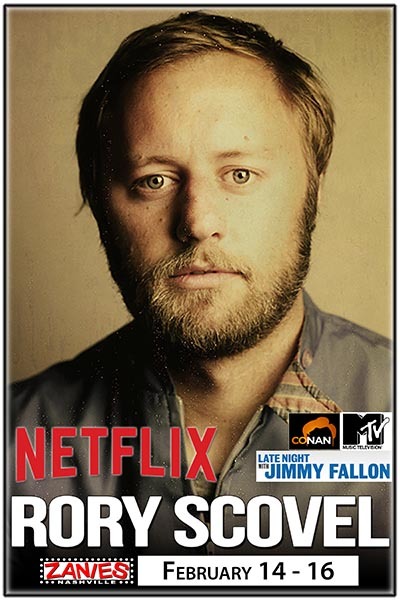 His hour stand up special Rory Scovel Tries Stand-Up for the First Time is currently streaming on Netflix.